Radiate is back after 2 years break. Originally going by the name James Peden the re-branding of his music to Radiate officially relaunches September 2018. Radiate's live show is upbeat and engaging using a unique blend of electronica, synth pop, 80s, hip hop and pop rock. He performs solo with his key-tar/ upbeat tracks and will do doubt get the crowd involved in his shows. James has a dynamic, melodic and uplifting sound, first launched as a solo artist in 2005, touring around Australia, New Zealand and Europe. 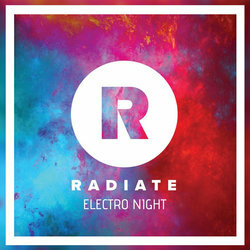 Electro Night is Radiate's latest release featuring 4 upbeat EDM tracks. Featuring HUMAN. Soul covers the theme of someone that is struggling with an addiction. Struggling to find help and then to find out that people you care find out about it.